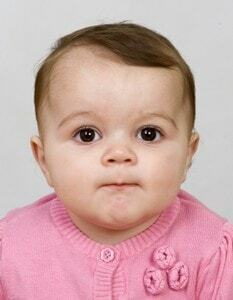 Have you ever tried taking baby passport photos in a photo-booth? If the answer to that question is ‘No’ then my advice would be ‘don’t try it’. If the answer is Yes, then you know why I’m offering that advice. Firstly you cram yourself and your baby into a small cupboard. Then you attempt to press the correct buttons whilst making sure you’re not in the photo. It’s a fruitless task that is guaranteed to fail. Why not visit our modern and comfortable portrait studio with free parking? 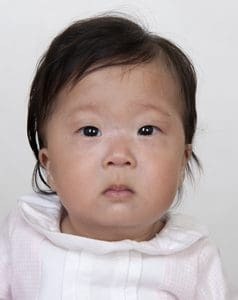 We accommodate babies and children of any age and satisfaction is guaranteed. 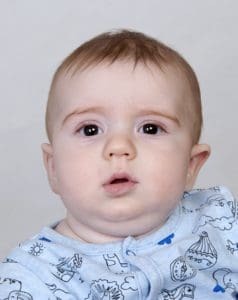 Your baby will be professionally photographed quickly and without fuss. When you’re happy with the photo, we edit your photos and cut your prints to size while you wait. 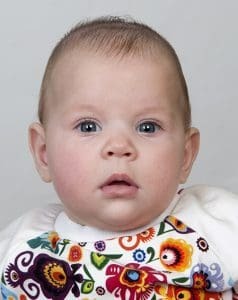 Perhaps most importantly, your baby passport photos are meticulously checked (using the HMPO template) to ensure they meet all official guidelines. Finally, because we’re confident our photos will pass first time, we guarantee a you free re-shoot. So in the unlikely event of any problem you know it’ll be sorted quickly, and most importantly free of charge. 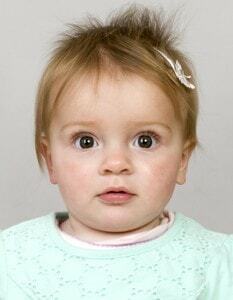 We can create all international passport photos, plus baby and child passport photos for any country. 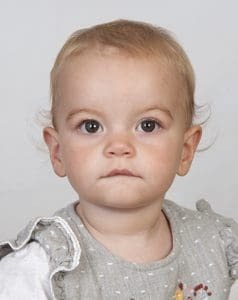 Please see guidelines below (from the UK Passport Office) for baby passport photos.